Enter our boss design challenge! Your boss creature could be featured in a future game release, standing guard over some epic loot and striking fear into the hearts of players everywhere. Here’s how to enter. Good luck! That’s it! Your boss creature can use any Life Blocks in any combination you like. It can be scary or cute or a true abomination. It’s up to you. Build your boss under 2400. Have fun and get creative! Make sure to give your creature a name! Add “Boss Challenge” to the title or description to help us find it more easily. You’re done! If you have more than one idea, fear not. You can enter as many times as you like. 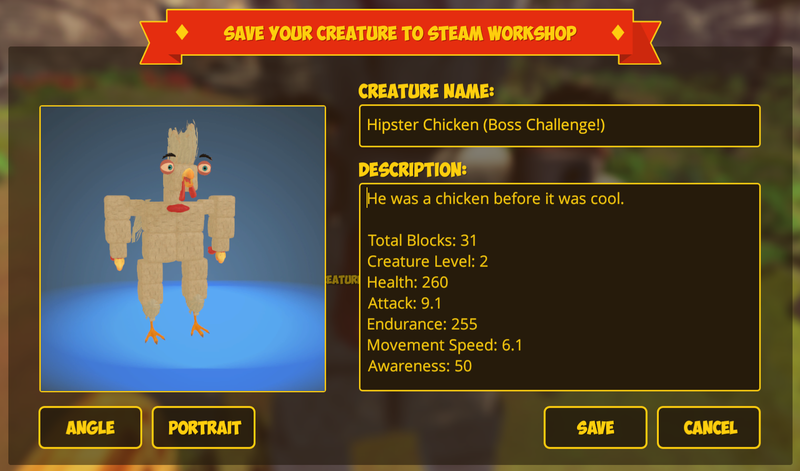 All creatures saved to the Workshop before Tuesday, Nov 28 @ 23:59:59 EST will be entered into the challenge! Once entries are closed, our crack team of CHKN scientists will go over all the entries and try our best to narrow them down to a winner. We have a feeling this will be really tough but also very fun! We’ll announce the winners and show off our favorite entries during our next live stream on Friday, Dec 1 @ 3:30 PM EST. Join us! 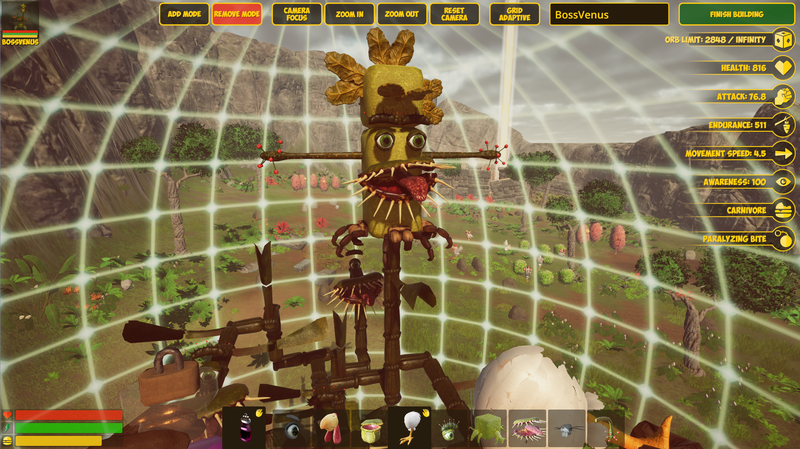 We’ve always wanted to fill the world of CHKN with awesome creatures created by you guys so we figured we’d start big. 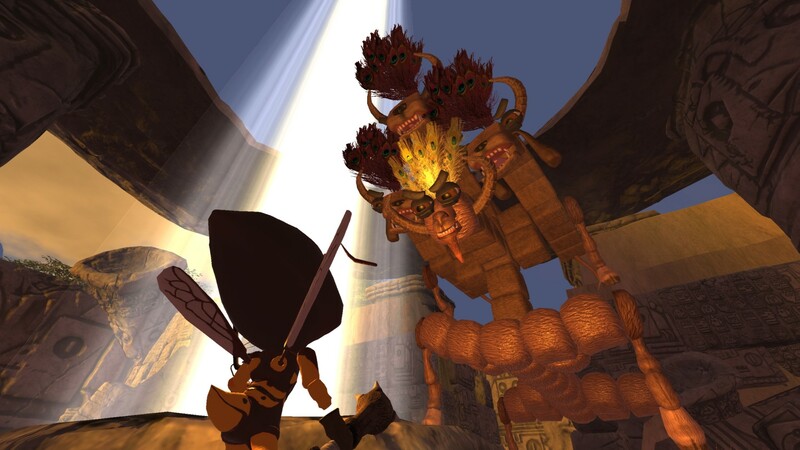 We can’t wait to see your epic boss creations!